Our real estate news for this week includes another decline in the housing market, with existing-home sales down for the fourth time in just five months. The GOP tax plan has some in the housing industry feeling confident while others see nothing but trouble for homeowners. It might seem strange, but the fact is, housing values in areas hit by natural disasters rise quickly. A small thing like the color of a front door can have an enormous impact on a home’s curb appeal. A story from the lighter side of real estate shows the hilarious dialogue between an agent wanting to show a home a family is in the process of moving into. The real estate market remains hot, but the sale of existing homes continues to drop because there just aren’t enough homes on the market to sell. 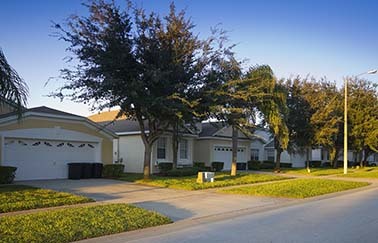 The National Association of Realtors reports that August home sale levels signal the fourth decline just five months. It’s nearly unanimous among those in support of and opposition to it: The Republican tax plan is going to have an impact on the housing market. Homebuilders are optimistic, but the National Association of Realtors believes the plan will negatively impact American homeowners. Who’s got it right? It might seem counterintuitive, but ATTOM Data Solutions reports that the median home price in the towns with the highest propensity for natural hazards has increased twice as fast as those cities with a low risk for natural disasters. You can find out more here. It’s not rocket science, but it can certainly make a difference in your listing’s curb appeal. We’re talking about the front door color. Take a look at the slideshow that presents these charming front door colors. From the lighter side of real estate comes this story about a couple fielding would-be home showings on the day they are attempting to move into the home they closed on six weeks prior. Have you been thinking about a career in real estate? Download our free guide, Is a Real Estate Career Right for You?